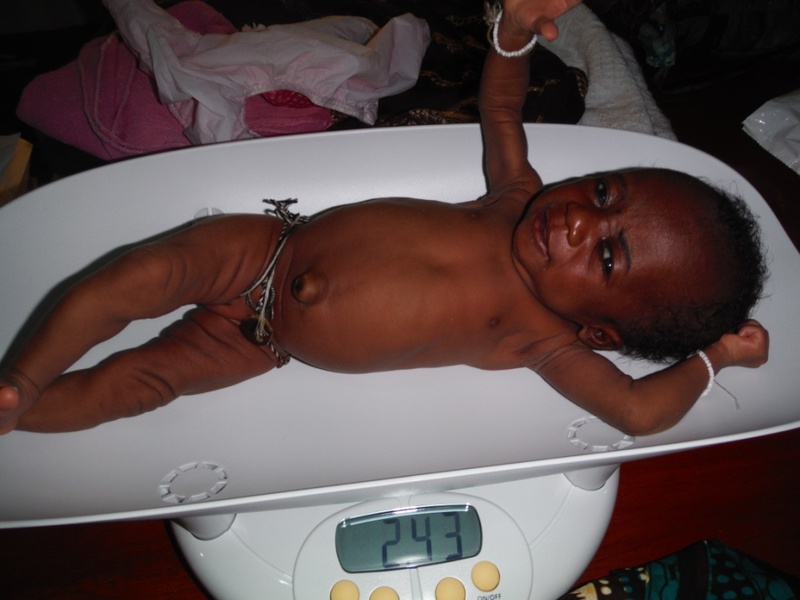 In Sierra Leone, the maternal and infant mortality rate is very high. 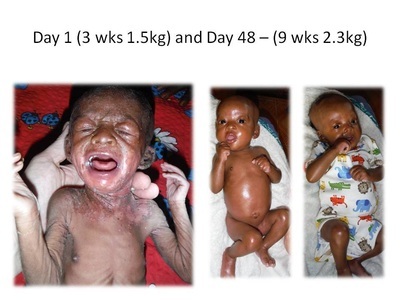 Mariatu's mother died when she was 18 days old. Her family loved her so much that they didn't want her to die and asked us to adopt her, which we did, and our lives have been so rich, as she is such a precious, loving, happy child. There are many babies whose mothers die. Culturally, When the mother dies the baby is looked upon as a curse. The crop that year in the village is bad, so it's the baby's fault. They believe the village is cursed because of the child. No woman will put this baby to their breast because they don't want the curse to be passed on to them. People lack the funds to purchase the baby formula, so the children are fed hot water until they die a slow, painful death. We have been collecting breast milk from healthy lactating women and have been giving that breast milk to babies whose mothers have died. When we didn't have enough breast milk because we hadn't officially launched, we began supplying the babies with Guigoz baby formula. We did this because in one day we had five babies whose mothers had died that needed breast milk and we just didn't have enough to meet the need. So, for now, until we really get a good supply going, the babies will be supplied the formula. This is providing them with the nutrients to sustain their lives. Thankfully, we have some pretty committed grannys who are willing to take on the feeding and raising of these babies. 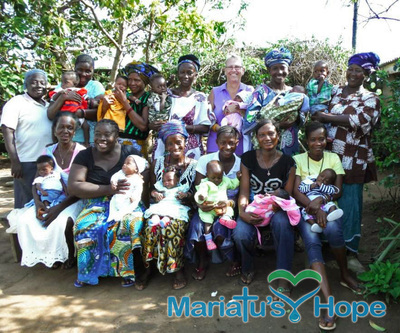 They say that they feel hopeful and encouraged and are so thankful for what Mariatu's Hope is doing for their grandbabies. By providing the breast milk or borbi wata, we are removing the fear of the curse, because we believe that children are a blessing from God. Those who donate the milk do not know who is receiving the milk and those receiving the milk do not know who the milk came from. The women who are donating their milk will attend a nutrition class geared towards adult lactating women, and the guardians of the babies will also attend a nutrition class geared towards the nutritional needs of infants. We presently have 30 babies who are part of our Infant Nutrition program. 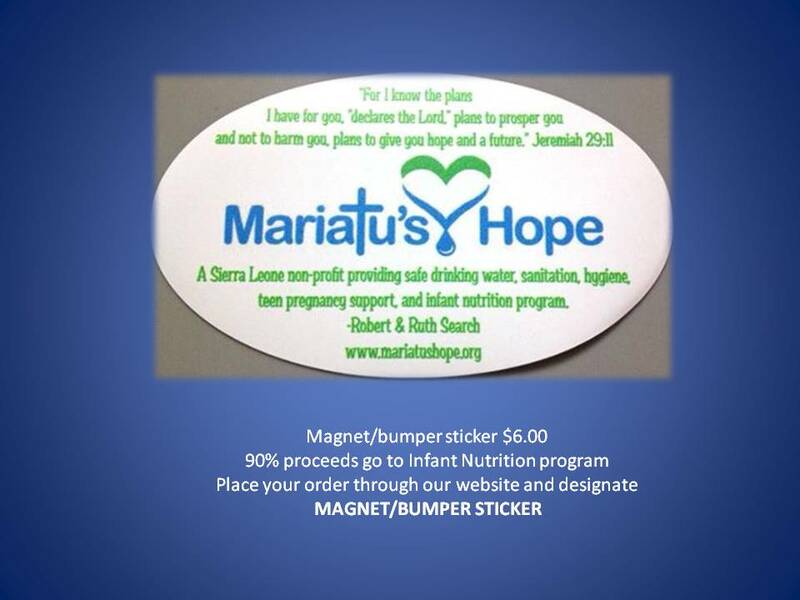 In 2014, we were able to provide nutritional support to 59 babies!! Every Friday morning they come, get weighed and receive baby formula and/or cereal and benimix. 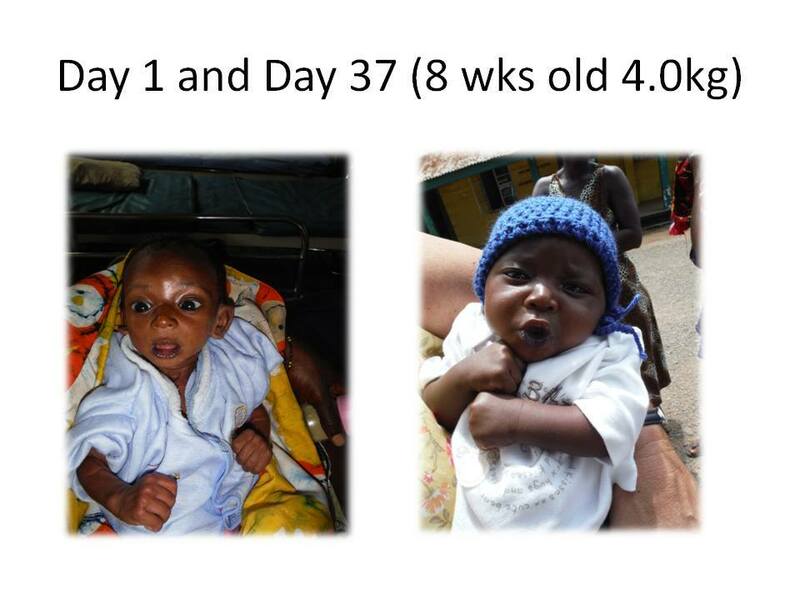 If the baby is having health problems, we refer them to the Lungi Government Hospital or the Ola During Children's Hospital in Freetown. 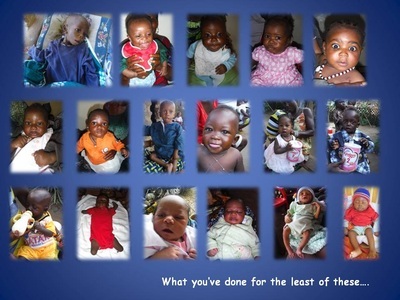 If you would like to sponsor a child for our feeding program please contact us through our website. At Mariatu's Hope, we are sharing hope believing Jeremiah 29:11. Won't you join us with a monthly contribution to our Infant Nutrition Program.